Established in the year of 2010, we AQ Sales Corporation are a leading and prominent organization of this domain engaged in manufacturing, exporting and supplying a wide range of finest quality Drilling Equipments. 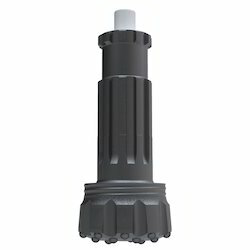 Our product range encompasses best quality DTH Hammers, DTH Button Bits and Tricone Bits. Offered products are manufactured and designed by utilizing optimum grade basic material in strict adherence to the set industry parameters. These products are highly admired by our clients for their accurate dimension and flawless finishing standards. To meet the varied demands and needs of our wide client base, we are offering these products in various technical specifications. Our clients can avail these products from us at leading market price. We are also offering Equipment Consultant Services for our patrons. 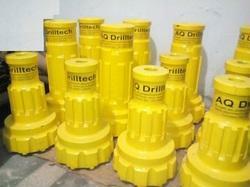 We offer our products under the brand name "AQ Drilltech". To manufacture our offering in accordance to the set parameters by the industry, we have established a well equipped and advanced infrastructure facility at our premise. We have installed all the progressive tools and machines at our facility to manufacture the offered products in bulk. To compile our business related tasks in best possible manner, we have appointed a team of well qualified professionals. Our professionals are working with full dedication and proximity with each other and ensure hassle free working environment. We export our products across the globe.